Whether you're reaching customers through a website, auctions, or a traditional catalogue, mail order trading is a great way to expand the retail potential of your fashion design business. But in order to run a mail order fashion business successfully, you need to have systems in place to ensure you can process every order in a timely manner and keep customers happy. 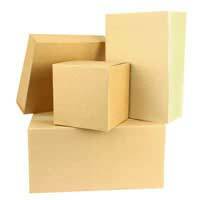 You need to have organised packing procedures and a reliable delivery system. Mail order shopping depends on trust. Dissatisfied customers will not return, and what's more, they'll spread bad word of mouth. If you're dealing with a lot of different orders at once it's easy to get confused, so make sure you have a single place where you list them as they come in and cross them off as they're processed. Never let orders sit there and decide you'll get round to them later. Don't prioritise big orders over small ones - all your customers need to feel that they're being treated with due courtesy and consideration. To make things easier on yourself, don't make unrealistic promises. Only under exceptional circumstances should you ever agree to have something delivered the next day. Shoppers are used to allowing 28 days for delivery so won't panic if their fashion purchases don't arrive immediately. Use plenty of padding. Bubble wrap is cheap and lightweight, yet very effective at protecting delicate fabrics. Polystyrene can protect stiff items like shoes and handbags. If you're concerned about the environment, biodegradable starch-based packing foam is available. Layer fabric carefully. If you're packing painted or recently printed items, rubberised cloth or PVC, place a sheet of tissue paper between each layer as you fold the garments, to stop them sticking to themselves. If you're packing studded items or items with chunky zips, use sheets of cardboard to prevent them from causing damage. Seal your parcels thoroughly. Parcel tape is cheap so you can afford to use lots of it. Don't rely on envelope adhesives, especially if you're buying in bulk and your materials may be old, as these can deteriorate over time - you don't want your parcel coming open in transit. Address your parcels carefully. If you're using stickers, make certain they're secure. Remember to supply a 'from' address as well as the address you're shipping to. Don't rely on postcode based order systems which can sometimes generate addresses which have ceased to exist. Make it fun! Use coloured paper and, if you think your customers will like it, secure it with a pretty bit of ribbon. Use stickers and confetti to make opening the parcel more exciting. This is very cheap to do and provides a personal touch. As you might expect, with all these things to consider, you may find yourself needing to purchase quite a lot of packaging materials. Although they may not let you register with them, most wholesale newsagent suppliers will let you bulk buy packing and decorative materials from them, saving a considerable amount in comparison to the retail price. Unless you're receiving mail orders from local retailers, it will be impractical for you to deliver your fashion designs yourself, so you'll need to find a suitable carrier. Whilst the Royal Mail may suffice for a lot of things, it's not always the cheapest option, and its standard delivery service has become notoriously unreliable in some areas. Options like DHL are primarily aimed at big business customers who need to ship documents at speed, and are usually too expensive for small fashion businesses. You can get a cheaper service for individual parcels from companies like Pay Per Parcel, but there are others out there which offer special rates to businesses which ship items frequently, and these may be the cheapest for you overall. Make sure you are clear with your customers about the terms of shipping. It can be useful to offer them the option of paying extra for delivery insurance. That way, it's not your problem if something goes wrong. If you are sending parcels from your local Post Office or from an outlet like Mailboxes Etc., be sure to get a receipt for each one. You can claim these as expenses and they also provide proof that you did send out any parcel which get lost on their way. Mail order trading can require a lot of work, but it can rapidly expand your customer base at relatively little cost; and, when you're just starting up, happy mail order customers can really help to get your name out there.